We think it’s safe to say that Jenelle Evans isn’t anyone’s idea of a perfect mother. In fact, there are many who believe the Carolina Hurricane is thoroughly incapable of providing a safe and stable environment for her children. And it’s not hard to see how they arrived at this conclusion. 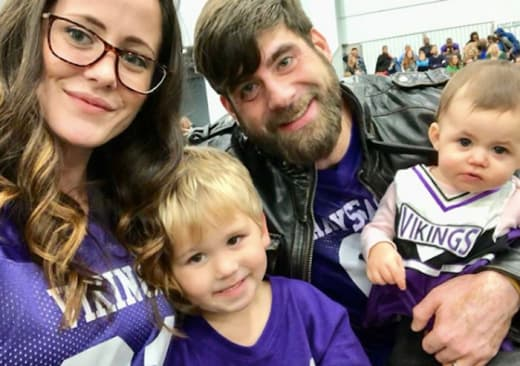 Jenelle has been fighting for custody of her first son, Jace, for nine years, but the boy is still being raised by her mother, Barbara Evans. These days, Evans is at risk of losing custody of her second son, Kaiser, to the boy’s father, Nathan Griffith. And of course, there are those who feel that Jenelle should have all three of her kids taken away simply because she’s the type of person who points guns at people who cut her off in traffic. 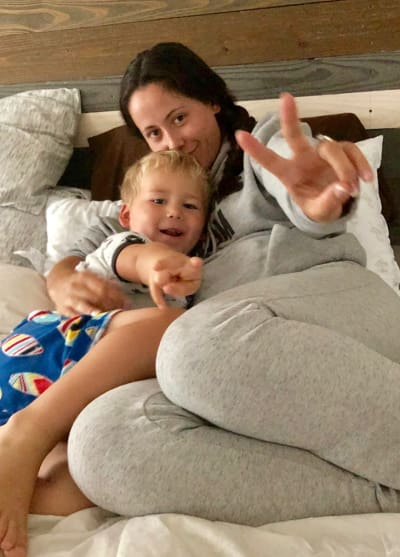 Generally, we’re opposed to mom-shaming, but in Jenelle’s case, it’s usually warranted. And she continues to provide her haters with plenty of ammunition. Earlier this week, Jenelle posted this photo of her daughter, Ensley, on Instagram. “She sure is having a lot of fun. 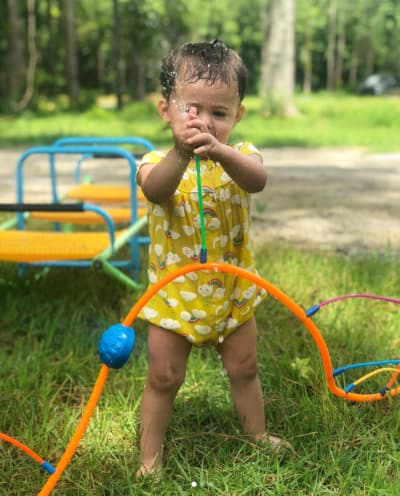 #LittlePrincess #WaterBaby #Adorable,” Jenelle captioned the pic. It might seem innocent enough, but some fans noticed that Jenelle edited that description after catching flak for her original caption. Needless to say, a lot of Jenelle’s followers took issue with her decision to allow a sick toddler to play outside in cold water. “Why is the sick baby in the water?” wrote one Instagram user. “A bath is warm water, not freezing cold hose water outside,” remarked another. “Let me break it down for the idiots… pool/hose water is cold… therefore your body overworks to keep itself warm… the last thing you want your body to do (while sick especially) is overwork,” she commented. Thus far, Jenelle’s only response has been to edit the caption. To be fair, however, that’s more effort than she usually puts in. But don’t worry, Jenelle is currently preparing for a house call from the doctor — Dr. Drew, that is. Yes, as you may have heard, Jenelle didn’t attend the Teen Mom 2 reunion taping in New York City last month. Remarkably, her MTV bosses are making a major concession by flying Dr. Drew to North Carolina with a camera crew, so that Jenelle can record an interview at home. Frankly, we think they’re on a bit of a slippery slope. Next thing you know, the reunion shows will be taped simultaneously in five different states. Watch Teen Mom 2 online for more reminders of just how bonkers Jenelle truly is. 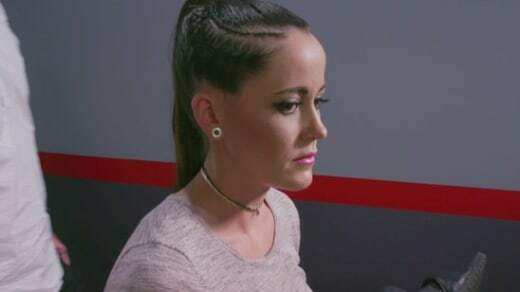 View Slideshow: Jenelle Evans: About to Get Fired From Teen Mom 2 For Real? Next story Bobby Brown: I’d Like to Slap the S–t Out of Kanye West!